Having read all of the previous Allen Edmonds reviews on Bespoke Unit I was very eager to get my hands on (or rather feet in) my first pair of AE shoes. This was going to be my first pair of Allen Edmonds shoes so I thought it would only be appropriate to start with the iconic Park Avenue oxfords that the Allen Edmonds brand has become so well-known for. Note: If you’re looking for the best place to buy these shoes we recommend AllenEdmonds.com and Zappos.com. Allen Edmonds offers a wide variety of men’s shoes and yet the Park Avenue is undoubtedly the most iconic of them all. In fact, the Park Avenue has consistently been Allen Edmonds’ best-selling shoe for more than 30 years now! 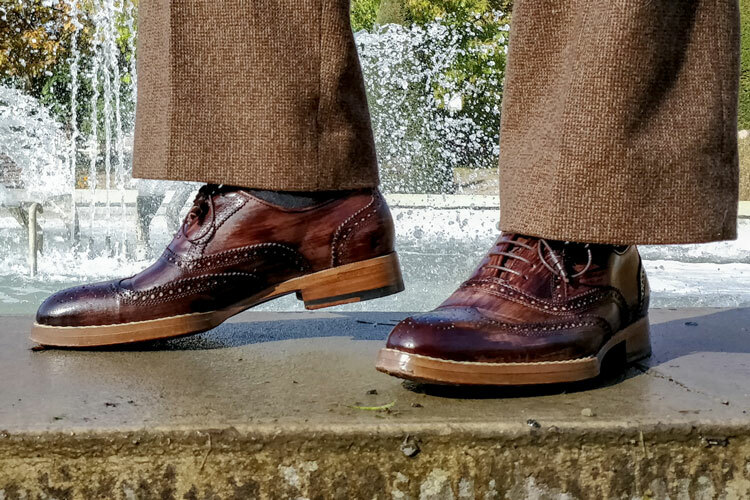 Allen Edmonds even goes as far as to say that the Park Avenue is “the shoe that made Allen Edmonds the company that it is today.” So, what exactly is it that makes this oxford dress shoe so special? Allen Edmonds Park Avenue is often considered the quintessential men’s dress shoe due to its versatility and timeless design. Because it is such a versatile shoe it can easily be incorporated into a wardrobe with business professional attire, as well as other dress codes that require formal and semi-formal attire. In fact, Allen Edmonds’ Park Avenue should really be the first dress shoe that every man owns as it will provide exceptional value over the long run. Much of the Park Avenue’s fame and success can also be attributed to the fact that it has been the footwear of choice for the inauguration of several U.S. Presidents in the past. In fact, Ronald Reagan, George H.W. Bush, Bill Clinton and George W. Bush are just some of the U.S. Presidents who donned Park Avenues during on inauguration day. But the popularity of this classic dress shoe is not just limited to U.S. Presidents or even the field of politics for that matter. Park Avenues have been a popular choice for a number of international business leaders, noteworthy statesmen and famous celebrities around the world. The following review includes my experience with the Park Avenue shoes including the specifications, sizing, overall fit, construction methods and more. 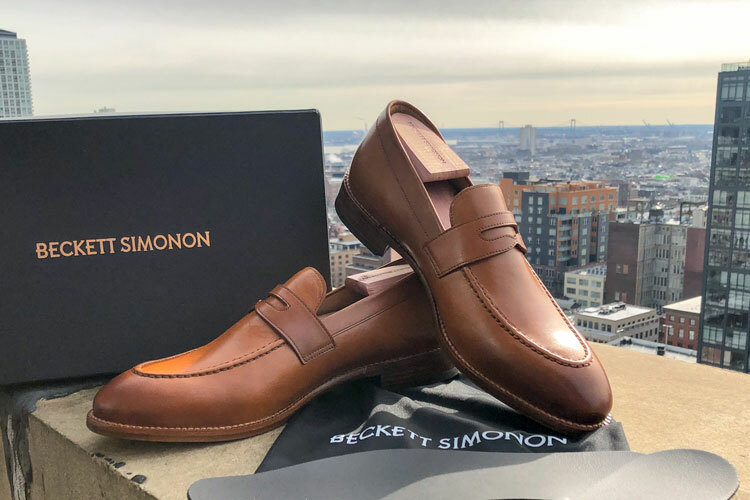 I had seen Paul Anthony and Charles-Philippe receive several pairs of Allen Edmonds shoes in the past so I knew what to expect with regard to the packaging and presentation. Still I was very excited to finally enjoy the experience of receiving and unboxing my own pair for the first time! My shoes arrived in the traditional Allen Edmonds shoe box featuring their logo and famous slogan “An American Original” printed on the box top. Inside the box I found the shoes which were neatly stored in individual shoe bags. When it comes to men’s dress shoes it doesn’t get more classic than a pair of black Park Avenues. The shoes themselves seem to have a certain air of formality and professionalism that is noticeable at a first glance. The first thing I noticed when holding the shoes was just how solid and sturdy they felt. I must admit they even felt a bit rigid on my feet for the first few days until I was able to properly break them in. However, I’m happy to report that after a week or so of wearing the shoes they broke in quite nicely. Over time they’ve slowly molded to fit the shape of my foot like a glove and have become some of most comfortable dress shoes that I’ve ever owned! These premium dress shoes also feature a single oak leather sole which contrasts very nicely with the black leather upper. As with any leather-soled shoe, the bottom of the Park Avenues can seem a bit slippery when first wearing them, especially if you’ve never worn leather-soled shoes before. That being said, I found that a natural traction was created on the bottom of the shoes after just a few days of walking around in them. When it comes to shoe construction it’s hard to compete with the detail-oriented methods and craftsmanship seen from Allen Edmonds. Every pair of Allen Edmonds shoes is handcrafted in the USA at the company’s factory located in Port Washington, Wisconsin. 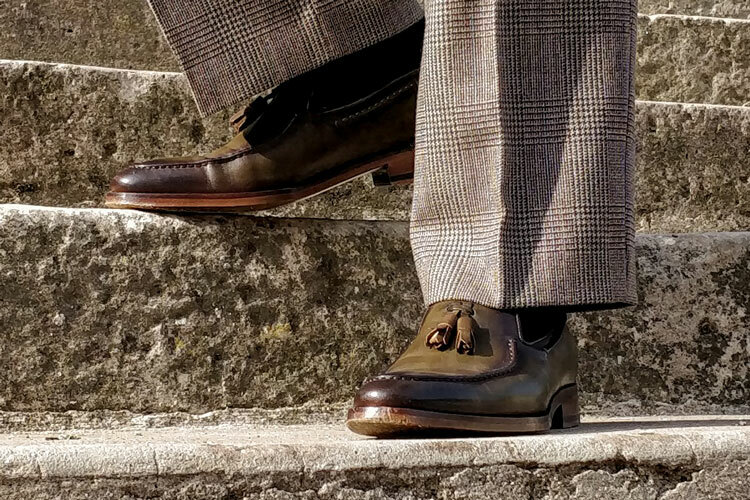 The meticulous shoemaking process for a pair of Park Avenues consists of the meticulous 212 step process that Allen Edmonds is so well-known for. The Park Avenue is handcrafted using a Goodyear welt construction method for extra durability. With a Goodyear welt the upper of the shoe is sewn onto the sole of the shoe. This method is typically found in shoes of the highest quality, while shoes of lesser quality often use adhesives or other cheaper techniques. The labor-intensive process of a Goodyear welt is considered the best when it comes to shoe construction methods and results in a durable shoe that can be resoled many times over. The Park Avenue also features Allen Edmonds’ famous “65 Last” which is their most popular shoe last. This particular last is known for being relatively longer than the average shoe last which results in decidedly sleek and formal look. 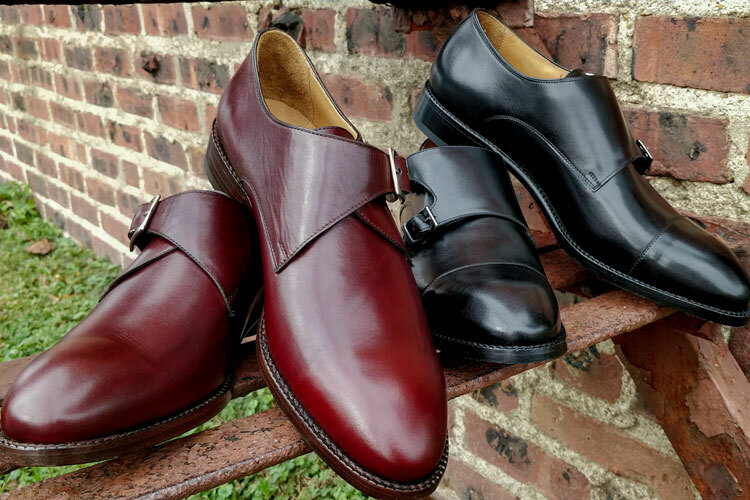 The Park Avenue shoe also features an upper made from premium calfskin leather sourced from the well-known Horween Leather company in Chicago, IL. The premium quality of the leather is evident when holding the shoes and I found the leather to be noticeably smoother than most of my other dress shoes. Furthermore, I’ve been wearing the shoes for a few months now and I must say I’m quite impressed with how the leather has formed to my feet over time. Another great aspect about Allen Edmonds shoes is the fact that they are available in several different widths. Because these were my first pair of Allen Edmonds I did not have a great idea as to how they would fit, but I had heard that AE’s tend to fit true to size, if not a bit narrow. Most of the dress shoes that I wear are size US 11.5 (D). After reading several reviews online I learned that the length of the Park Avenue shoes generally run true-to-size, but that they can be a bit on the narrow side. As a result, I decided to get an 11.5 (E) for some extra width. To my delight the shoes had a great fit out of the box and became even more comfortable after just a few weeks of wearing them. 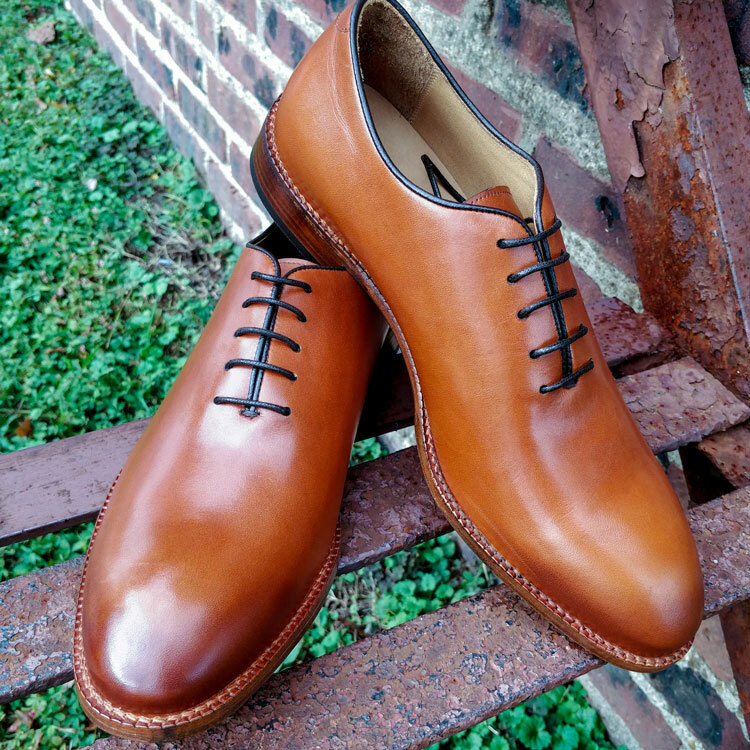 The Park Avenue Cap-toe Oxfords retail at $425 USD and you can buy them directly on AllenEdmonds.com. The price tag may seem quite expensive to the uninitiated (myself included) who may be used to spending $200 or less on a pair of men’s dress shoes. However, when considering the material, construction method and craftsmanship of the Park Avenue you’ll find it hard to get better value for money. Buying a pair of Allen Edmonds shoes should not be thought of as just another purchase, but rather an investment. I’ve bought relatively cheap dress shoes in the past thinking I was getting a good deal at the time, but was ultimately disappointed when I needed to replace them within two years. Ironically, my attempt at being frugal ended up costing me more in the long run! On the other hand, proper shoe care and the occasional recraft could make these Allen Edmonds last several decades, if not a lifetime. Allen Edmonds is one of the only large luxury shoemakers in America that still offers shoe recrafting services. 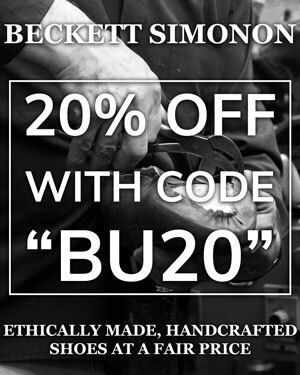 This is one of the unique benefits of owning a pair of Allen Edmonds that is often overlooked by the average consumer. 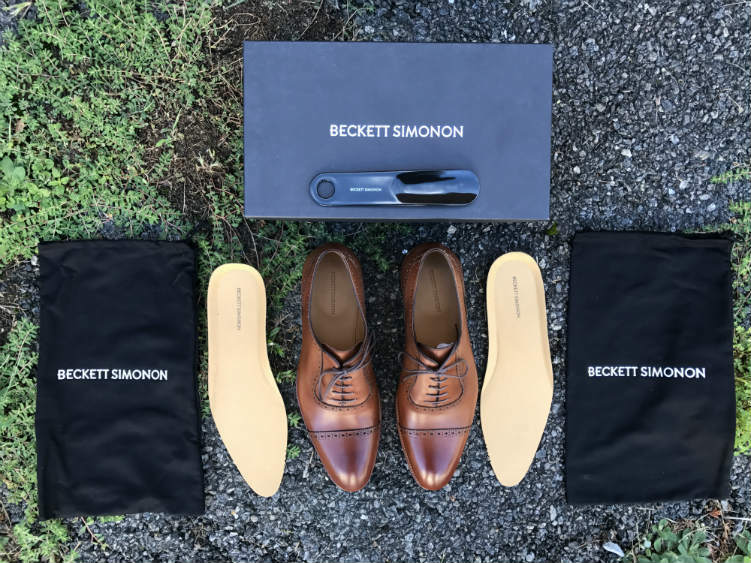 For about $100 you can you can send your shoes to the Allen Edmonds factory in Wisconson for a recraft which can extend the life of your shoes for several decades. As a result, most men opt to repair their Allen Edmonds as opposed to replacing them entirely. In fact, Paul Anthony recently had a pair of Allen Edmonds recrafted and when they came back it was as if he’d received a brand new pair of shoes. You can read our detailed review of Allen Edmonds Recrafting to find out more. I must admit I fell in love with these shoes the day they arrived on my doorstep. This is my first pair of Allen Edmonds, but I imagine it will be the first pair of many in a rapidly growing shoe collection. There’s a reason that political leaders, corporate leaders and famous entertainers consistently choose Park Avenues as their footwear of choice. Furthermore, the fact that Allen Edmonds is one of the few remaining companies in the United States that still makes men’s dress shoes speaks directly to the brand’s dedication to quality and tradition. Reviewed by Trevor Guilday, on May 29th . "The Park Avenue is a classic dress shoe! If you're just getting into premium men's dress shoes this is the definitely shoe to start with." I think they would, yes. You can refer to our black tie dress code guide if you want more precise information.